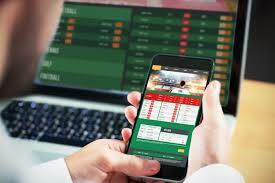 Dpoll Post: Are you into Online Sports Betting? Yesterday, I learned about a sport betting app, 1XBet with which one can place bets with over ten Cryptocurrencies. I guess there are other of such sites that accept Cryptocurrencies. With STEEM not yet one of the Cryptocurrencies accepted by 1xbet, I thought for a minute about having such a platform to accept STEEM or probably having such a dApp on Steem. That not withstanding, I am interested in figuring out if many Steemians and into online sports betting. If yes, I will appreciate if you comment the sites or App that you are using to place your bets.